Mr Bonette was a man whose life evolved through opportunity, choices and broken relationships. He was born on 23 November 1890 and registered as George Leonard Francis Bonnett. His parents, James and Mary, lived with their extended family at the Union Hotel, Curlewis, Geelong. From a young age George was known as Leonard David Bonnett and was residing in Curlewis until he was 18, he then went to Melbourne to study chemistry and work as a storeman. On 21 June 1915 David enlisted for the First World War, he alleged his age was only 19 years old, his next of kin was documented as Mrs Mary Wilson-Grey from Leopold, Geelong. Mary gives her permission as his step-mother to enlist and states that David has lived with her “always” until a few months ago, this would seem untrue given that David’s mother was alive and died in August 1916. In July 1915 David married Elsie Marie Fairthorne at St James Cathedral in Melbourne. His marriage certificate documents he married as Francis Leonard George David Bonette and was now a 24 year old soldier with the AIF and gave his address as the Coffee Palace in Melbourne. It was reported in the newspaper as a society wedding with David having the title Lance-Corporal Bonette. This marriage was to be brief, ending in a very public manner. After training at Seymour camp, David embarked from Australia on 26 August 1915. He would serve with the 21 Battalion and the postal corps. He was wounded in action on the field in France on 8 August 1918. David returned to Australia in January 1919 but in February he had to return to England to answer a charge for two offences, stealing six British Postal Orders and the receiving of the goods, knowing they had been stolen. He pleaded not guilty to both charges. He was found guilty of the first offence and not guilty of the second. The punishment was 30 days detention and he “made good” with the payment for the British Postal Orders. David arrived back in Australia on 1 August 1919 and was discharged on 30 December 1919. Having served in both Egypt and France David was awarded three medals, the Star, Victory and British War Medal. In October 1919 David and his wife Elsie went to court due to the breakdown of their marriage. Shortly after David had left Australia to serve, Elsie had begun a relationship with another man with whom she had a baby. The detail of the case was quite ugly, Elsie described David as a “cold” man, which was in contrast to the wedding article that had featured in the newspaper. It was later found that Elsie had drawn a military pay allotment from two men when they were at war and she lived with a third man. She had made several excuses for her behaviour and was described as a “Naughty Wife”. A divorce was granted on 21 July 1923. David moved on with his life and had attached himself with Beaconsfield, purchasing Lot 1 Beaconsfield, the land on the corner of the Princes Highway and Woods Street. 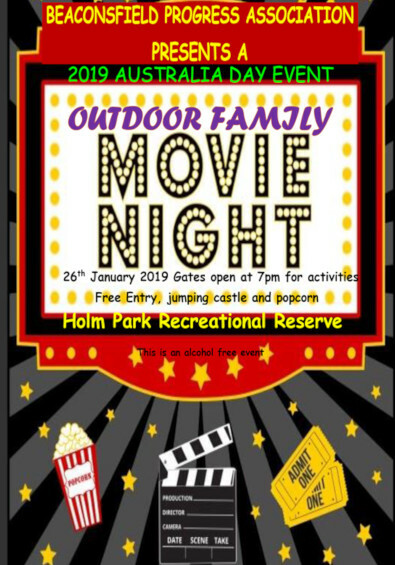 He collaborated with Ada Armytage of “Holm Park” and through her contacts they embarked on multiple projects to raise funds for various charities, groups and causes within the district. In 1921 David Bonette was being described as Ada’s honourable secretary and stage manager. He embraced all the fundraising functions at “Holm Park” which was of great benefit to the scouts and returned soldiers in particular. David enjoyed the local community groups such as the Cardinia Creek Swimming Club. From 1922 until the death of Ada in 1939, David gave his address as “Holm Park” and his occupation on the electoral roll as a “student”. After the death of Ada, her two sisters Laura and Leila resided at “Holm Park”, David’s sister Eileen Jones was employed as a nurse for the elderly ladies. Australia entered World War Two in 1939, David Bonette enlisted on 1 June 1941 giving his age as 45 when he was actually 50 years old. His next of kin was his sister and he gave himself the occupation of Manager’s Confidential Secretary. The question of educational qualification was given as merit leaving, so it is unknown why he would be listed as a student between the wars. David served as a dental clerk with the dental division, serving only in Australia. 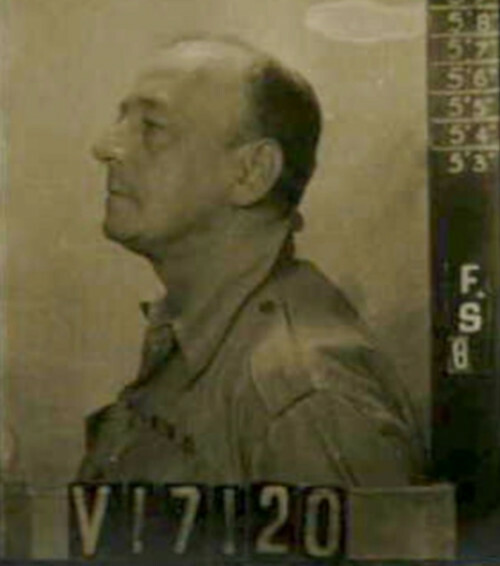 He was discharged medically unfit with hypertension on 7 January 1944. 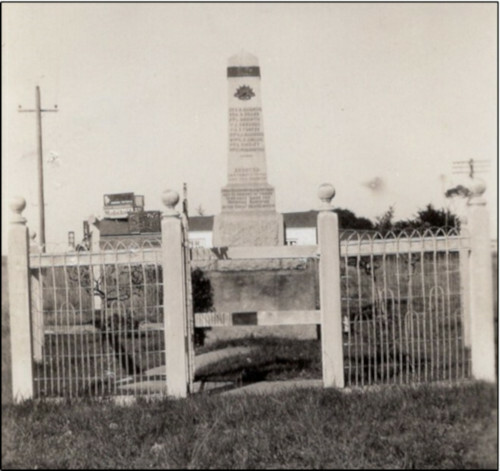 In 1945 an offer from the then Shire of Berwick was made to David to purchase his block of land to extend the area of land for the Beaconsfield War Memorial. In 1949 David went north to Boulia, Queensland and was employed at the Chatsworth Station as the bookkeeper. This was a short stay as he soon returned to Victoria. On 19 December 1951, Berwick Shire councillors unanimously agreed the park surrounding the memorial should be known as “Bonette Park” in recognition of the outstanding contribution to the Beaconsfield community from David Bonette. On 24 March 1954 the Beaconsfield Progress Association and the shire engineer met to discuss improvements to this area. It was agreed to move the memorial to the centre of the park and complete beautification works. It was only a matter of weeks when a newspaper article expressed the sadness of the passing of Mr L D Bonette with whom the little park around the memorial was named. In his last months, David was to reside at the Mount Royal Hospital Parkville, a hospital for veterans and the aged. He had suffered ill health for a number of years and finally died of heart failure on 5 April 1954. It is difficult to know why David changed his name and age on occasion but what is definite is he lived an interesting and colourful life, he believed in loyalty and duty, whether serving his employer or his country.